The Bureau of International Recycling (BIR) established Global Recycling Day in 2018 to help achieve its goal of greater international recognition of the benefits of recycling. The inaugural Global Recycling Day took place on 18 March 2018 and was an unprecedented success, with more than 13 million people across the globe actively participating in the day. 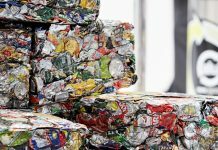 “At a time when the role of recycling is changing around the world, and the desire for environmental action is growing, BIR’s new campaign has been well received,” said Cole Rosengren, Senior Editor at Waste Dive. The 2018 Dive Awards recognise the industry’s top disruptors and innovators. These executives, companies, trends and breakthroughs are transforming the industry and shaping the future. Waste Dive solicited suggestions for title nominees from its 123,000 readers and winners were chosen by the editors of Waste Dive based on resonance and industry impact. As a result of the success of the first ever Global Recycling Day in 2018, BIR recently announced the formation of the brand new Global Recycling Foundation which will oversee the continued growth of Global Recycling Day as well as other initiatives. 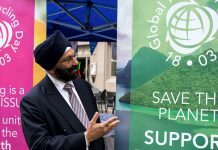 Ranjit Baxi, BIR President and Founding President of Global Recycling Foundation, commented: “It is our mission to make the world wake up to the importance of recycling, and think resource not waste. We are thrilled that Global Recycling Day has had such a high degree of success in achieving this and that it has also now been recognised by the 2018 Dive Awards. We look forward to continuing our movement in 2019, and invite the world to join us.” Global Recycling Foundation recently announced the theme for 2019 as ‘Recycling into the Future’ – focusing on the power of youth, education and innovation in ensuring a brighter future for the planet. 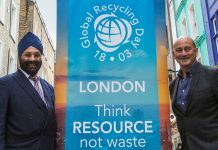 Global Recycling Day will take place on 18th March 2019, where people around the world will be invited to show their support for recycling.